Leading home digital services provider PLDT HOME has strengthened its leadership in fixed broadband with a commanding market share of over 70% in the first half of the year as it boosted its broadband service with an array of digital services. Total PLDT HOME fixed broadband customers grew by 15% as of end-June, adding two times more subscribers than competition in the second quarter of the year. Revenue is seen to further grow with the aggressive push of high-end Fibr plans. “PLDT HOME’s fixed broadband has continuously maintained its industry leadership with its significant array of new digital services and compelling content, providing entertainment to customers everywhere, whether they are at home or away from home,” said PLDT EVP and Head of Consumer Business Group Ariel P. Fermin. PLDT is the first telco to offer Quadplay in the country. It is the innovative bundling offer where mobile services are packaged with voice, data, and cable television, providing connectivity everywhere. Fitch industry research unit, BMI Research, said in a recent report that the quadplay service will potentially boost PLDT revenues. “With Quadplay, we are once more leveraging our integrated approach to connectivity as our data, voice, and Cignal over fiber services are packaged with a mobile bundle. This further solidifies our leadership in the broadband market,” Fermin pointed out. “The quadplay service will reinforce the trusted benefits of PLDT HOME brands. 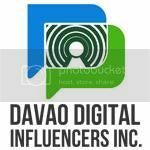 With this offer, we will be able to offer our customers a one-stop shop for all their communications and multimedia needs, enabling them to experience a richer digital lifestyle,” he added. PLDT HOME has also beefed up its content by partnering with global providers. One of the content partnerships launched in the second quarter of 2015 was with iflix, Southeast Asia’s leading Internet TV service with more than 11,000 hours of top shows and movies from the best content providers around the world, including top Hollywood, European, Asian, and even local studios. Another recently-launched partnership was with Fox International Channels, a global entertainment company and Asia Pacific’s leading broadcaster. This content partnership provides PLDT HOME and Smart subscribers with subscription video-on-demand (SVOD), as well as live shows and catch-up television on the various Fox channels. PLDT’s robust fixed and wireless networks enable the delivery of new services that meet the digital lifestyle needs of its subscribers. This is supported by the country’s most expansive fiber optic network, spanning more than 100,000 kilometers. What composes of PLDT HOME? UPGRADE TO PLDT HOME ULTERA!!!!! Now with FREE TV Series and Movies that your kids LOVE!!!! Visit PLDT HOME webiste and GRAB their latest Christmas Home Hotdeals today!!! !